Building Plans are a set of scaled drawings, which show a view from above, the relationships between rooms, spaces and other physical features at one level of a structure. Usually plans are drawn or printed on paper, but they can take the form of a digital file. 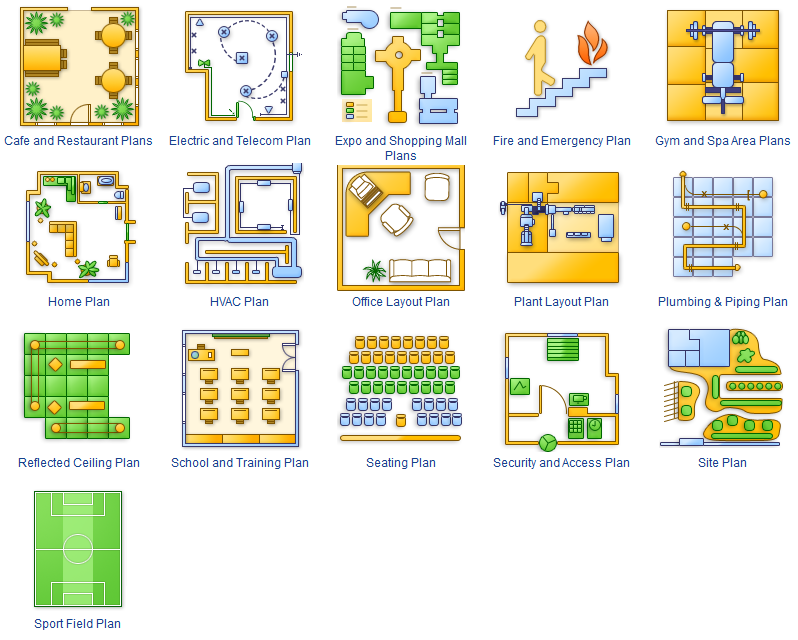 You can create quick and easy custom Building Plan with the 49 libraries of more than 1500 pre-designed stencils. There is set of special objects that displays the sizes, corners, squares and other technical details using the current measurements of units. You can use ConceptDraw DIAGRAM to produce layouts of real estate properties. You can easily determine the size of the rooms & distances in you drawing. 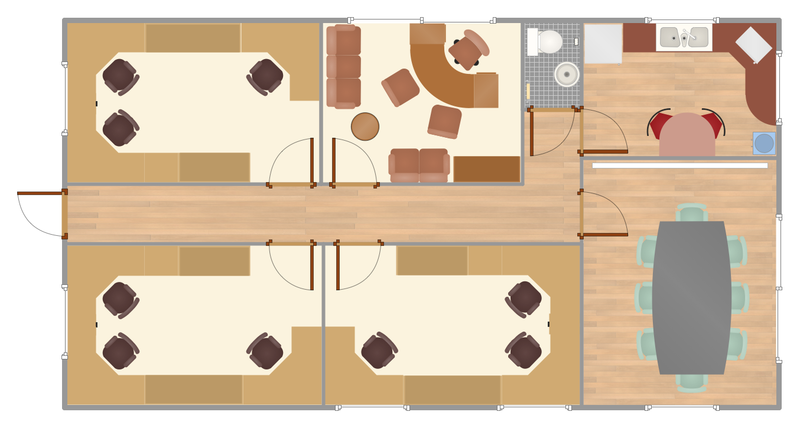 The ability to create a floor plan is delivered by the Floor Plans solution. 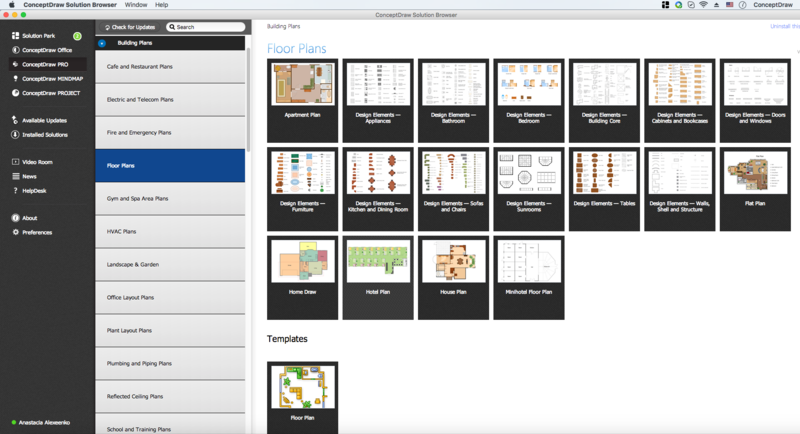 Open ConceptDraw STORE, check the Floor Plans solution and click “Install”. Set the measurement units for your document by clicking on the intersection of the vertical and horizontal rulers. Open the libraries catalog using Ctrl+Shift+O (Windows) or Cmd+Shift+O (Macintosh). Go to the “Floor Plans” folder and then open the “Dimensioning” library. Select a dimension and insert it into the document by double clicking. Move the dimension object to connect its lines with a connecting point of the layout object. 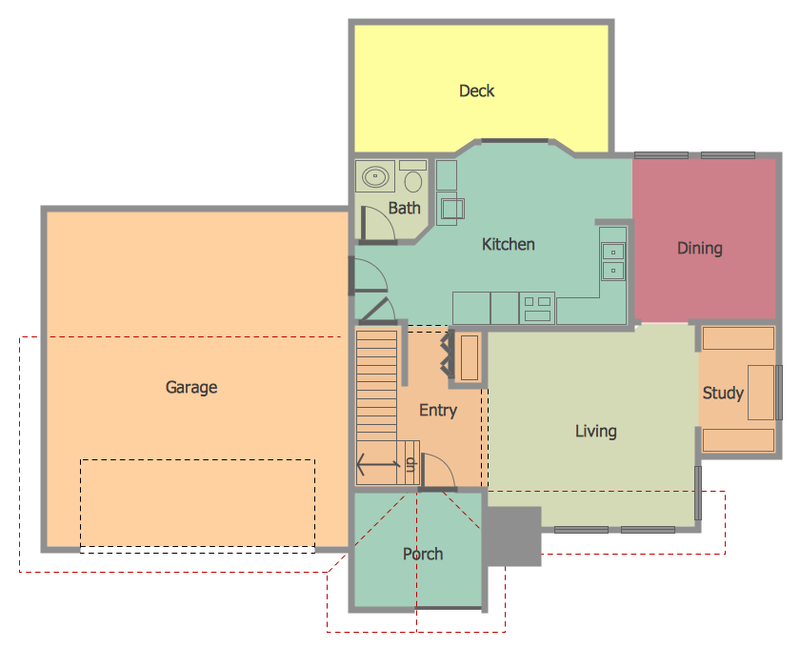 Result: This article is helpful for those, who use ConceptDraw DIAGRAM to create or modify floor plans or their related elements. ConceptDraw building plan software works across any platform, meaning you never have to worry about compatibility again. 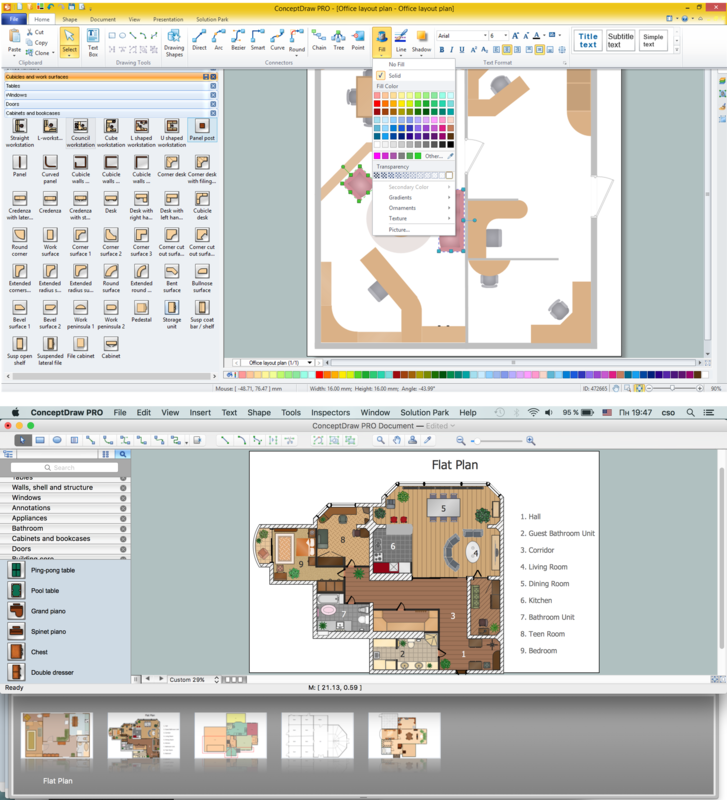 ConceptDraw DIAGRAM allows you to make building plans on PC or macOS operating systems. 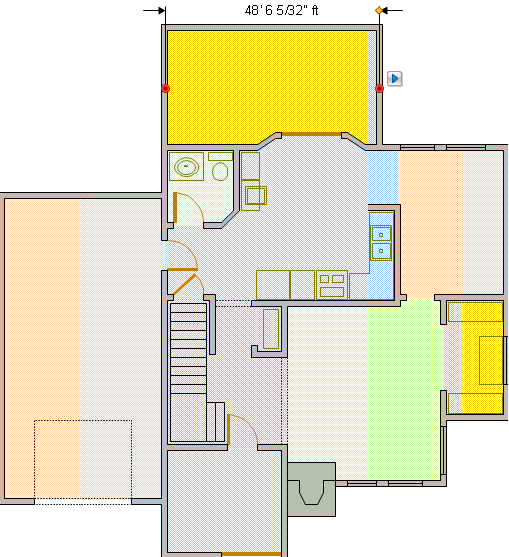 You can see the layout of the rooms. The rooms are denoted by names, living and non-living spaces are visually marked by color. 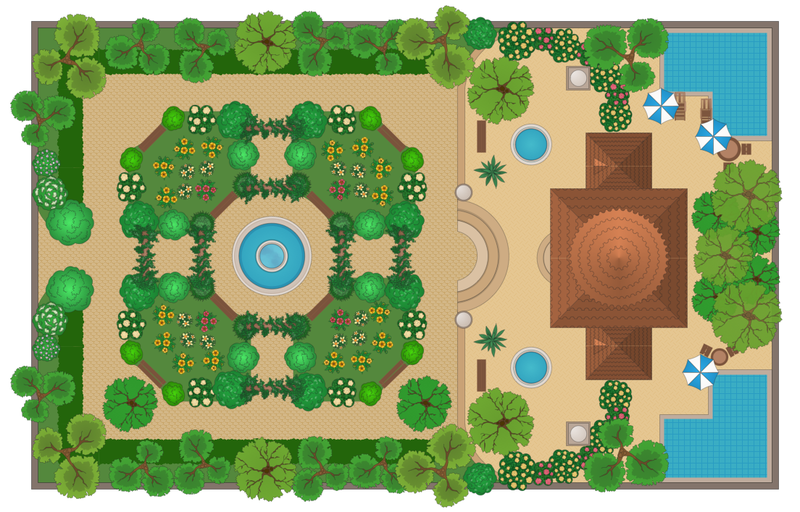 This image shows how to design a garden on a larger scale. Plan the planting of trees and flowers, the positioning of pools and ponds; using the extensive solution libraries, it's even possible to arrange garden furniture and sports facilities. Planning an office space is an important part of common office planning. With ConceptDraw DIAGRAM you can simply realize various designs that implement the best office ideas and office concepts. 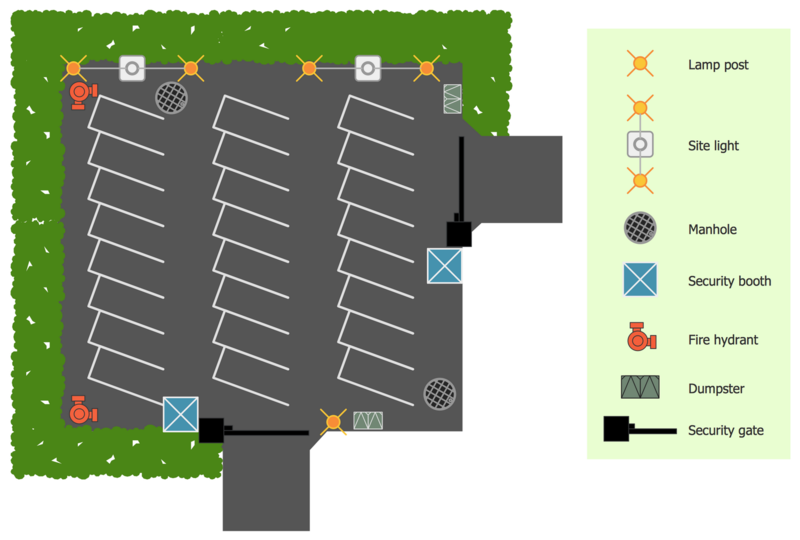 This sample shows the site plan of a security parking lot. ConceptDraw DIAGRAM contains a large number of predesigned objects and allows you easy create site plans with any level of detail. You can display even such details as manholes, dumpsters, fire hydrants, etc. 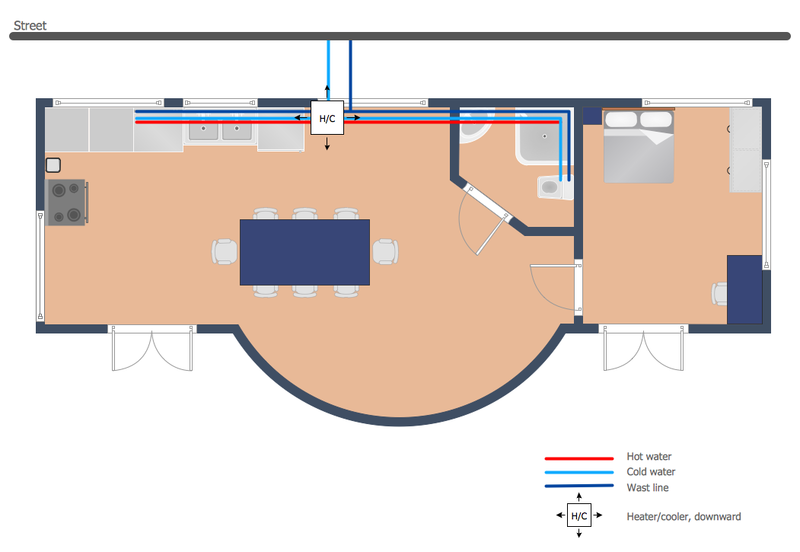 You want to design a bright, visual, attractive and understandable plumbing or piping plan? Nothing could be easier with ConceptDraw DIAGRAM software with the Plumbing and Piping Plans Solution for ConceptDraw Solution Park. 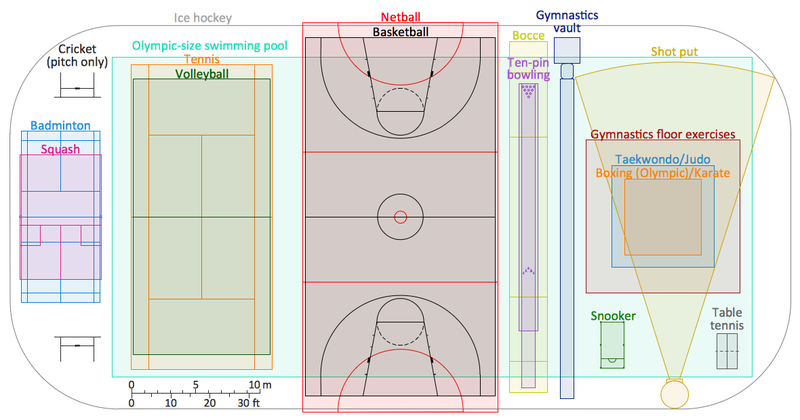 This sample shows the different sport playing areas and allows to compare their size ratios. It’s very useful when you plan the building of the sport complex, sport school. The samples you see on this page were created in ConceptDraw DIAGRAM diagramming software enhanced with Building Plans Area from ConceptDraw Solution Park. ConceptDraw DIAGRAM v12 is a world-class diagramming platform that lets you display, communicate, and present dynamically. It′s powerful enough to draw everything from basic flowcharts to complex engineering schematics. ConceptDraw DIAGRAM v12 extended with Gym and Spa Area Plans solution from Building Plans area of ConceptDraw Solution Park is ideal software for quick and simple drawing professional looking Gym Floor Plan.